Colombo District Former MP R Dumindha Silva states that people who voted to defeat former President Mahinda Rajapaksa, have realised there mistake by now. He made this comment participating in a meeting held in Dehiwala. Western provincial council Minister Upali Kodikara and Former chairman of the Maharagama municipal council Kanthi Kodikara also joined the occasion. Addressing the gathering dormer chairman of the Maharagama municipal council Kanthi Kodikara stated that people of this country wants the leadership of former President Mahinda Rajapakse. She also stated that former MP R Duminda Silva will lead the struggle from Kollonnawa to achieve this goal. 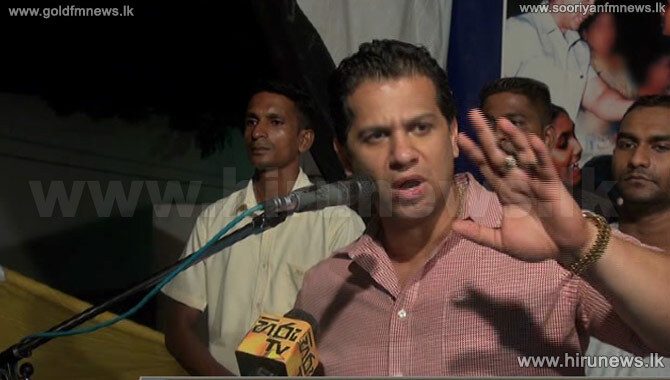 Colombo District Former MP R Duminda Silva also addressed the gathering. He stated that former President Mahinda Rajapakse is the greatest leader ever and eradicated terrorism that plagued the country for 3 decades. Defence Ministry Monitoring Parliamentarian R. Dumindha Silva says that it is his duty to look after the people of the Kolonnawa electorate who elected him to parliament at a time when they had no parliamentary representation. Defence Ministry Monitoring Parliamentarian R Dumindha Silva says that even though he is ready to bow down to people at anytime, he is not ready to bow down to injustice and fraud. Defence Ministry Monitoring Parliamentarian R. Dumindha Silva says that a large sum of money has been allocated for the development of the Kolonnawa electorate under the 'Mahinda Chinthana' programme. 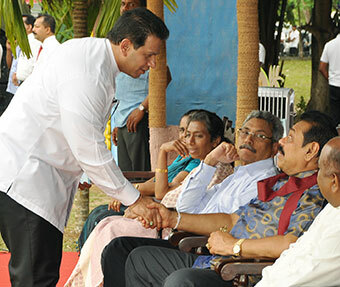 Defence Ministry Monitoring Parliamentarian R. Dumindha Silva says that the Kolonnaawa electorate that had been subjected to lethargy in development receiving step-motherly treatment for several years is now moving towards speedy development in all sectors under the guidance of President Mahinda Rajapaksa. Defence Ministry monitoring parliamentarian R. Dumindha Silva says that there is a conspiracy to mislead the people and jeopardise the project for constructing 70,000 houses for Colombo shanty dwellers. Copyright © R Dumindha Silva. All Rights Reserved.